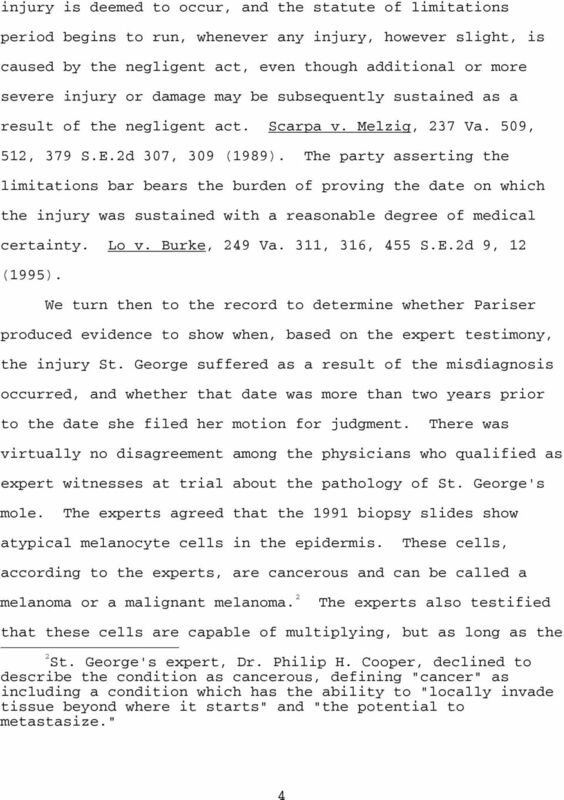 v. Record No OPINION BY JUSTICE ELIZABETH B. 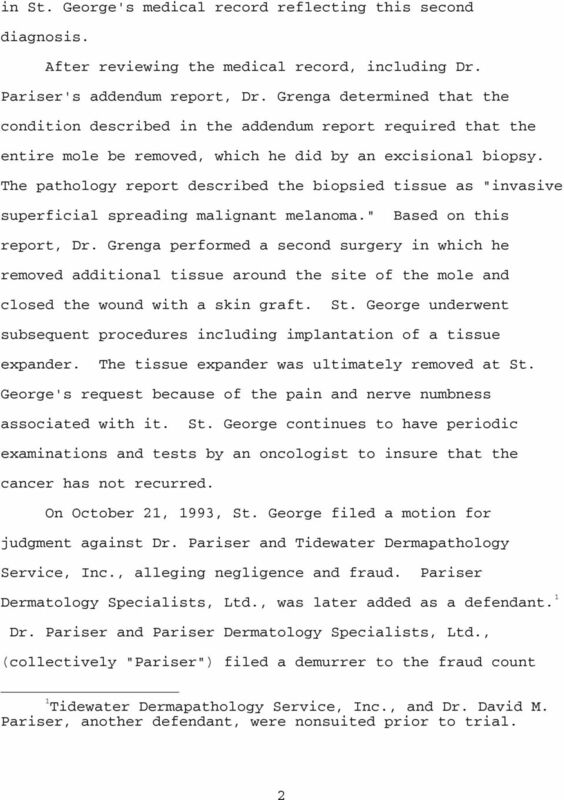 LACY April 18, 1997 ROBERT J. PARISER, M.D., ET AL. Download "v. Record No. 960876 OPINION BY JUSTICE ELIZABETH B. 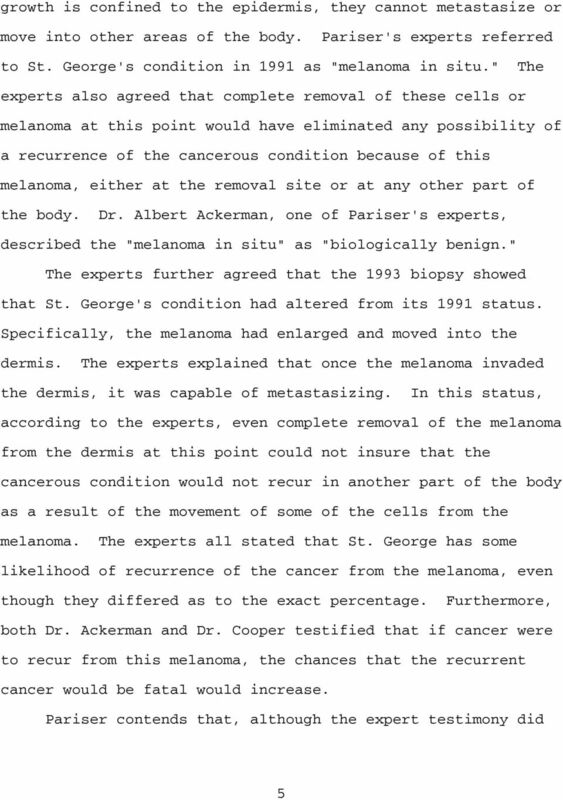 LACY April 18, 1997 ROBERT J. PARISER, M.D., ET AL." SHANA J. SHUTLER OPINION BY v. Record No. 051852 JUSTICE LAWRENCE L. KOONTZ, JR. June 8, 2006 AUGUSTA HEALTH CARE FOR WOMEN, P.L.C. v. Record No. 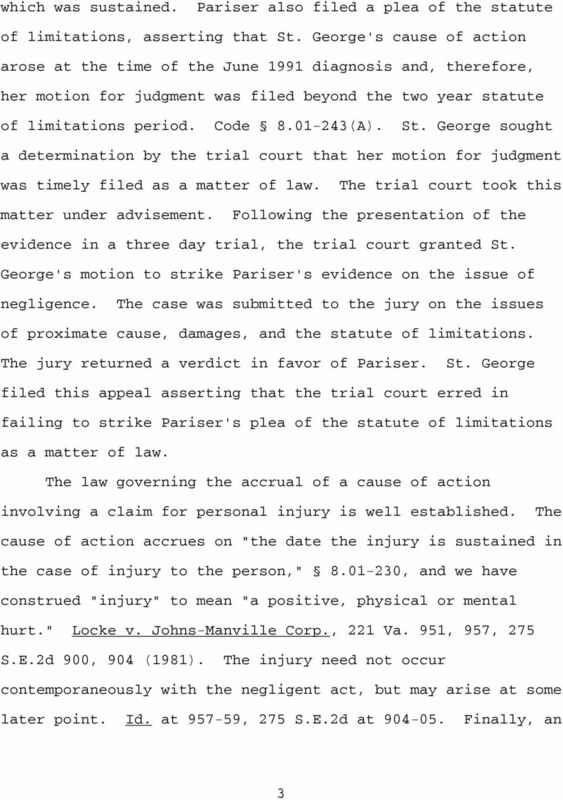 080751 OPINION BY JUSTICE BARBARA MILANO KEENAN June 4, 2009 LOUIS N. JOYNES, II, ET AL. In the Missouri Court of Appeals Eastern District DIVISION TWO KATHY WACKER and BRYAN No. 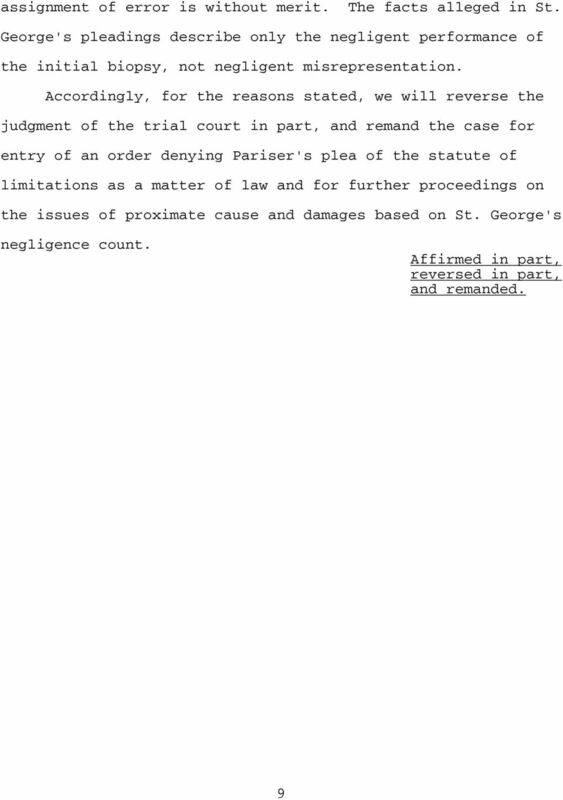 ED99789 WACKER, Appeal from the Circuit Court Appellants, of Cape Girardeau County vs. Hon. William L. Syler ST.
v. Record No. 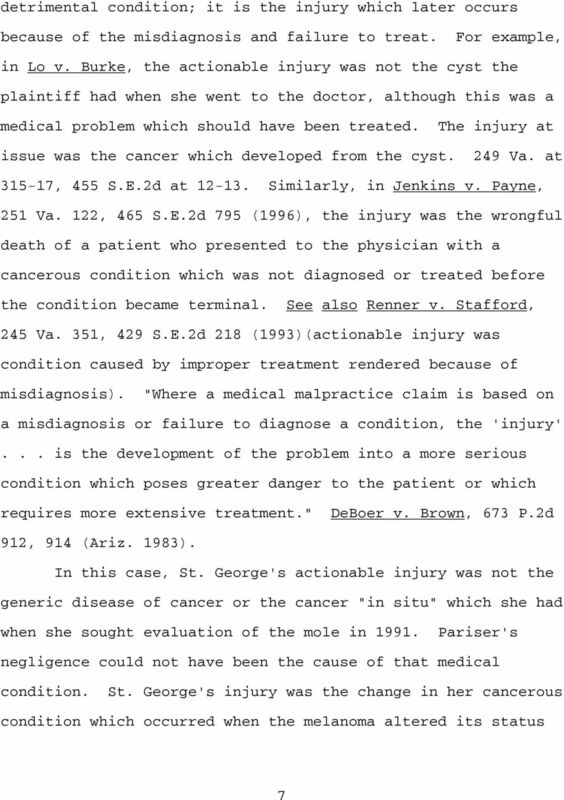 051701 OPINION BY JUSTICE BARBARA MILANO KEENAN June 8, 2006 VALLEY NURSING HOMES, INC.
v. RECORD NO. 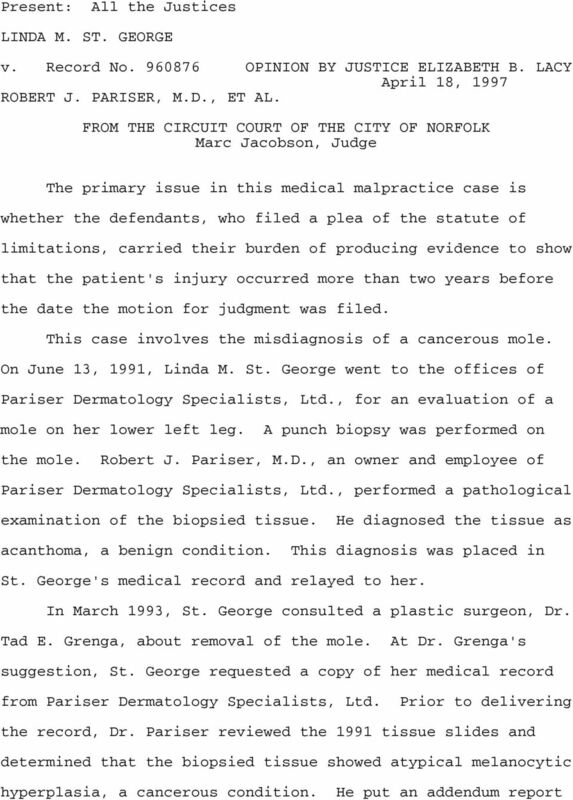 080502 OPINION BY JUSTICE CYNTHIA D. KINSER January 16, 2009 FAIQA AFTAB QURESHI, M.D., ET AL. Present: Hassell, C.J., Keenan, Koontz, Kinser, Lemons, and Goodwyn, JJ., and Lacy, S.J. COMMERCIAL UNDERWRITERS INSURANCE COMPANY. v. Record No. 000474 OPINION BY JUSTICE ELIZABETH B. 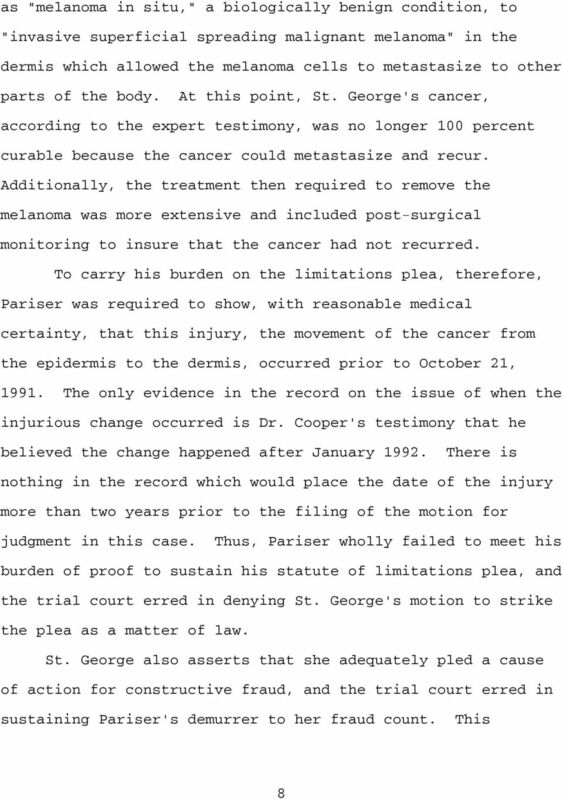 LACY January 12, 2001 HUNT & CALDERONE, P.C., ET AL. Present: Hassell, C.J., Keenan, Koontz, Kinser, Lemons, and Millette, JJ., and Carrico, S.J. v. Record No. 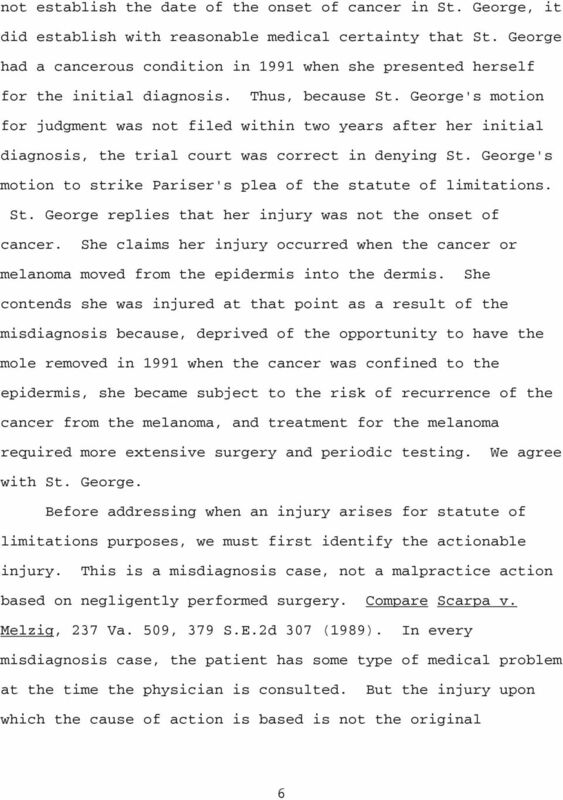 112070 OPINION BY JUSTICE DONALD W. LEMONS September 14, 2012 ADEL S. KEBAISH, M.D. v. Record No. 051891 OPINION BY JUSTICE CYNTHIA D. KINSER June 8, 2006 WAFA RAHMAN FROM THE CIRCUIT COURT OF FAIRFAX COUNTY David T.
IN THE COURT OF APPEALS FIRST APPELLATE DISTRICT OF OHIO HAMILTON COUNTY, OHIO BARBARA HENSLEY, vs. Plaintiff-Appellant, ABUBAKAR ATIQ DURRANI, M.D., and CENTER FOR ADVANCED SPINE TECHNOLOGIES, INC., Defendants-Appellees. PRESENT: Lemons, C.J., Goodwyn, Mims, McClanahan, Powell, and Kelsey, JJ., and Lacy, S.J.